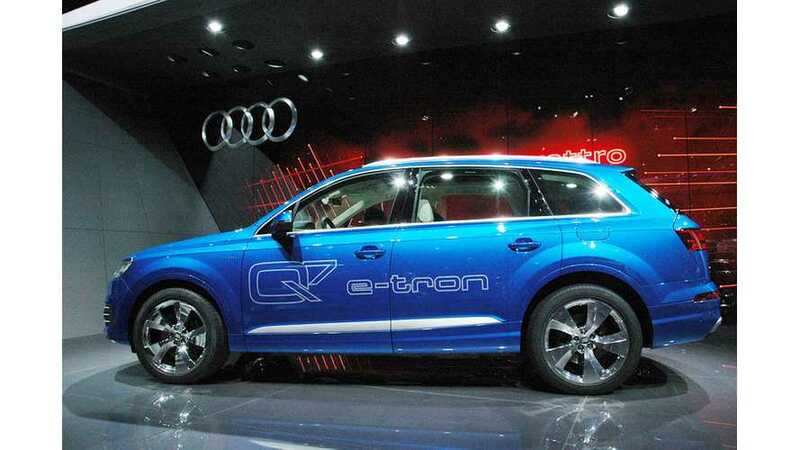 Going green is in, as it should be, and with the Q7 e-tron you can do so without losing any actual car usefulness in the process. 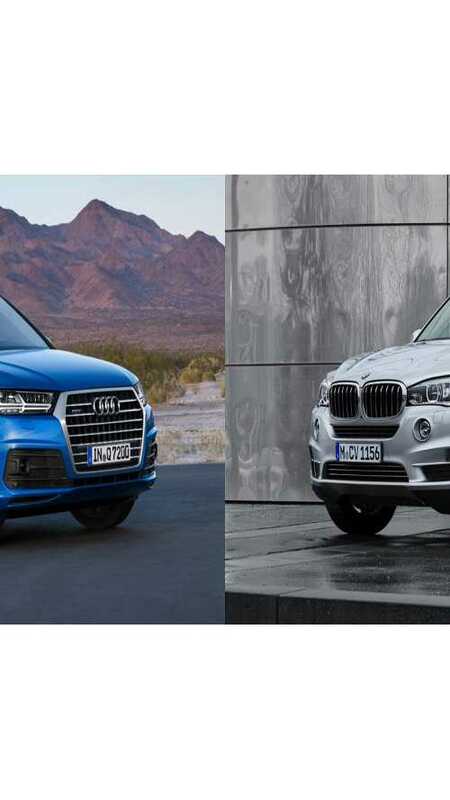 Audi Q7 e-tron Driven, But Is It Better Than The Volvo XC90 T8? 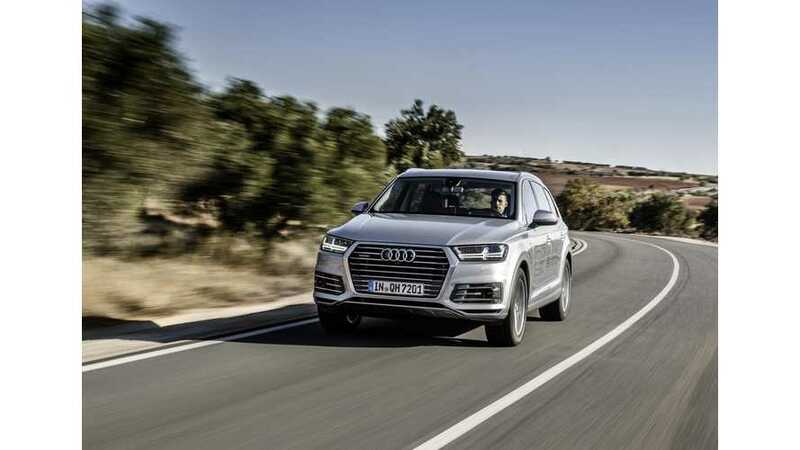 Highlights of Audi Q7 e-tron plug-in hybrid test drive review by Autocar. 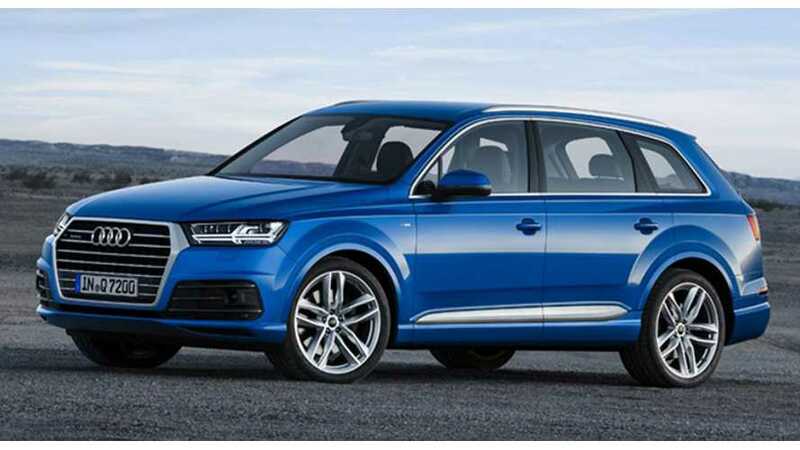 Audi’s latest plug-in hybrid combines the German car maker’s widely-used turbocharged 2.0-liter four-cylinder direct-injection gas engine with an electric motor mounted within the housing of the Q7 e-tron 2.0 TFSI quattro’s standard eight-speed automatic gearbox. 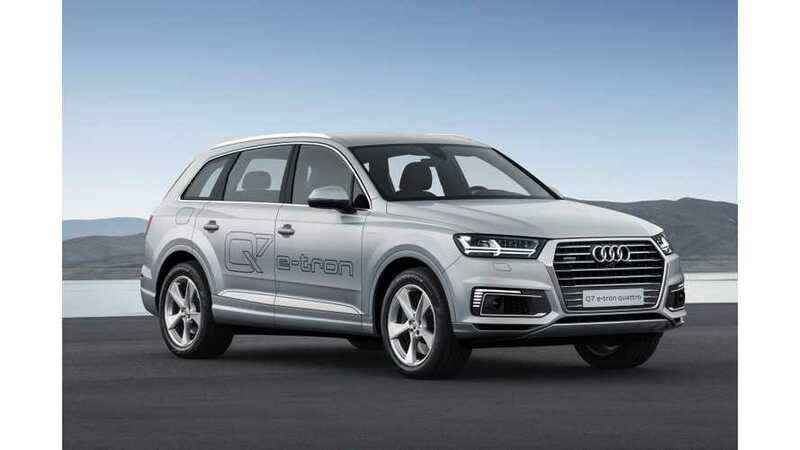 Audi will offer its Q7 premium large SUV with two plug-in hybrid powertrains: a diesel variant for Europe and a gasoline version for the U.S. and China. 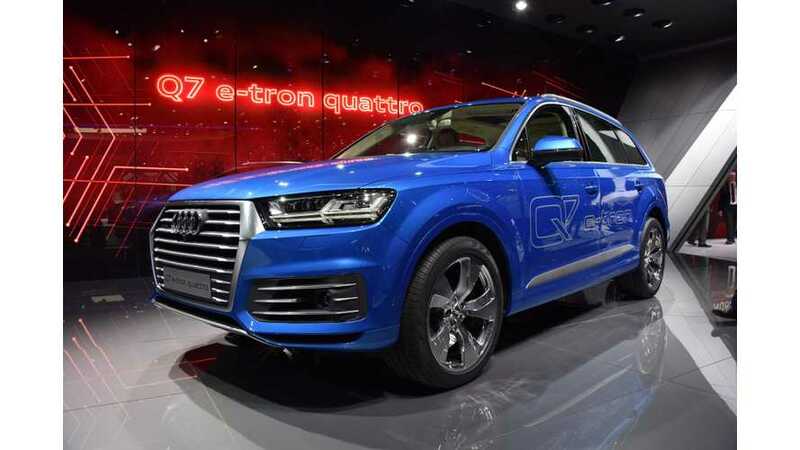 Here we present lives images of the Audi Q7 e-tron from the 2015 Geneva Motor Show. 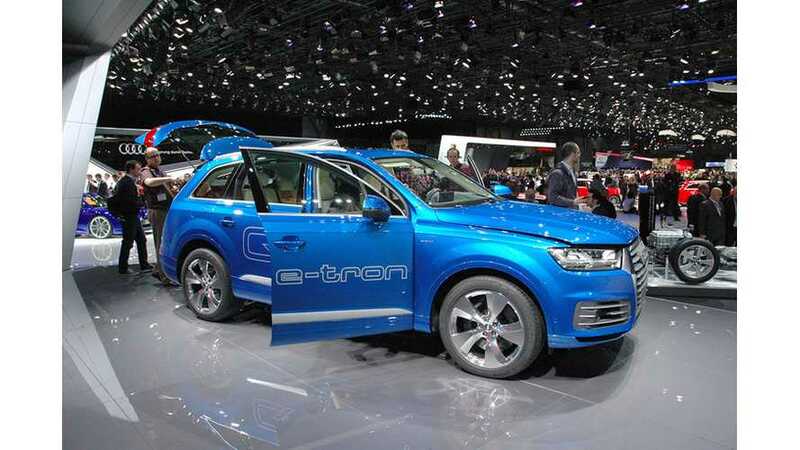 The Audi Q7 e-tron features 35 miles of all-electric range, and a powerful output of 368 hp, 516 lb-torque. 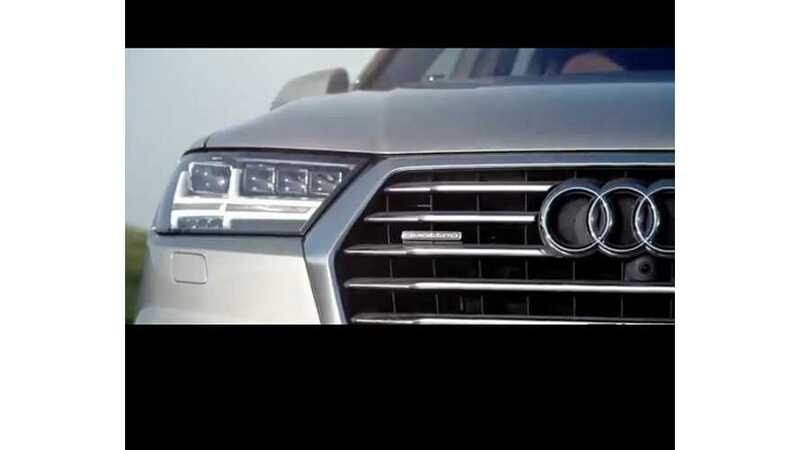 0-60 in under six seconds. 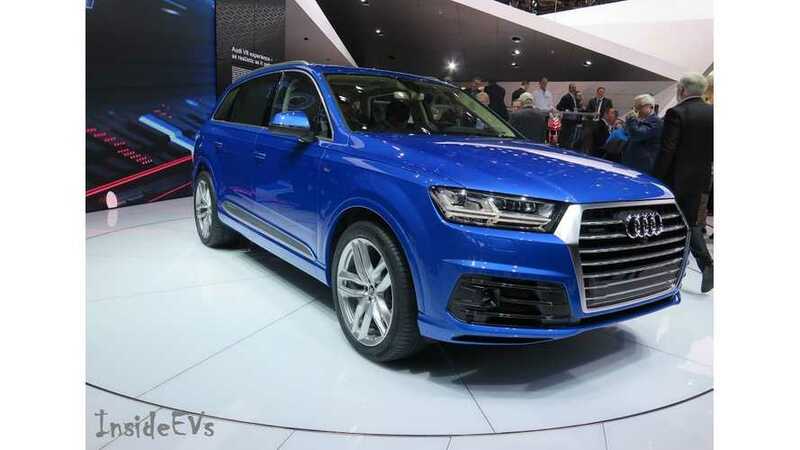 The SUV Audi Q7 made its debut at the 2015 NAIAS. 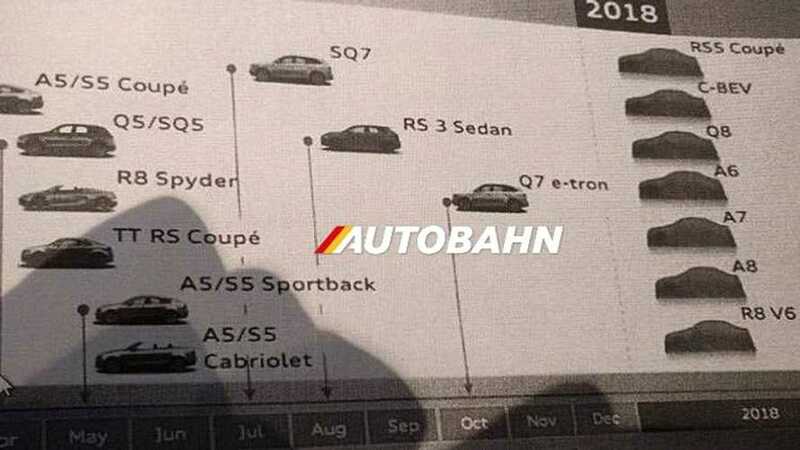 Here are photos of the live reveal. 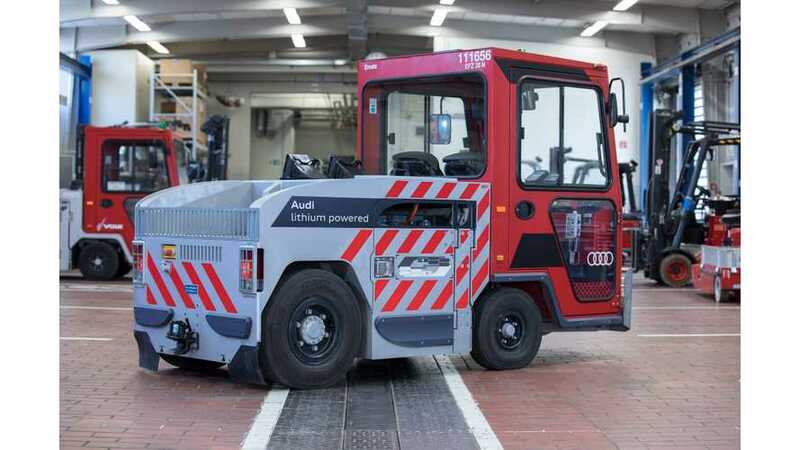 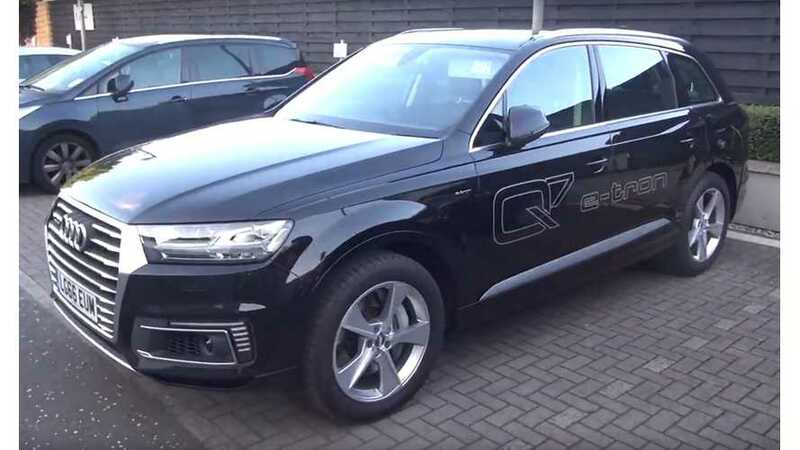 Audi has announced that the Audi Q7 e-tron quattro will launch in 2015, when it will be the world’s first plug-in hybrid with a six-cylinder diesel and quattro all-wheel drive.